Did you know you will no longer be able to buy medicines containing codeine without a prescription? As of the 1st of February 2018 you will no longer be able to purchase codeine containing medicines without a prescription from a doctor. 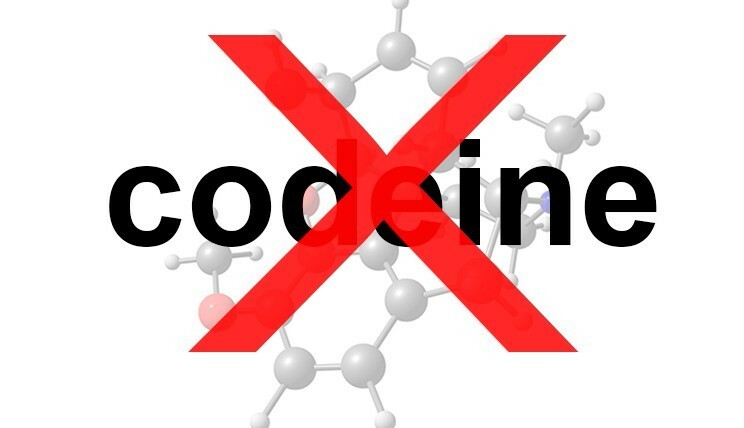 There are many reasons for this change but all is not lost, there are many alternatives to codeine! In some cases when regular users of codeine are taking codeine containing medicines for chronic pain they have become addicted without realizing it. Over-the-counter low-dose (<30mg) medicines containing codeine for pain relief offer very little additional benefit when compared to similar medicines without codeine. Codeine use can cause opioid tolerance, dependence, addiction, poisoning and in high doses can cause death. If you are suffering from acute or chronic pain it is important to be monitored by a health professional, particularly while taking any sort of medication. Seeing a Physiotherapist! A physiotherapist may help to reduce, manage or eliminate acute and chronic pain. Physiotherapists use evidence based practices to help treat their patients and keep up to date with the latest research. Physiotherapists use a variety of treatment methods based off evidence such as manual therapy, dry needling, stretching and soft tissue massage to help treat their patients. They can also recommend using heat or ice on the affected area rather than using medicines. Patients with private health insurance may be able to claim a rebate on their appointments. Physiotherapists can perform a focused and comprehensive clinical assessment and help identify the source or cause of pain. They may also be able to identify psychosocial influences that may be contributing to the pain accompanying ‘red flags’. Physiotherapists are able to refer to appropriate to health care professionals who may be able to help assist in the management of pain. Evidence suggests that a paracetamol/ibuprofen combinations that are available as a single pill can be used as an alternative to codeine-based medicines for short-term management of pain.